Why does 1stVision focus (no pun intended) so much on machine vision lenses. As the old saying goes, if you have garbage in, you get garbage out. A machine vision lens gathers light and then focuses it. When we talk about focus, we are talking about the MTF, but when we discuss light gathering properties, we need to discuss the lens f-number. 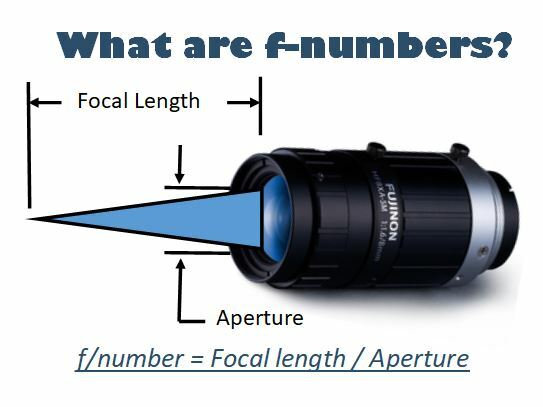 The f-number is defined as the ratio of the focal length by the aperture width (diameter of the entrance pupil). 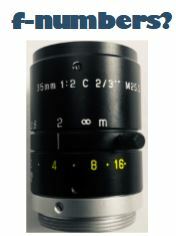 So a 50mm focal length lens with a f-number of 2 has a 25mm entrance pupil. The lower the f-number, the more light will be allowed into the system, however this equates to more expensive lens as you need more glass to make a wider entrance pupil. Many camera lenses have an adjustable iris that opens and closes at the front of the lens to limit the amount of light coming in. When open all the way, the f-stop is the f-number. From there, each f-stop from wide open halves the amount of light, which corresponds to reducing the size of the aperture by 1/sqrt(2) or about 0.707 and in turn halving the area. The f-stop is represented by a sequence of these numbers below, each letting in half the light. 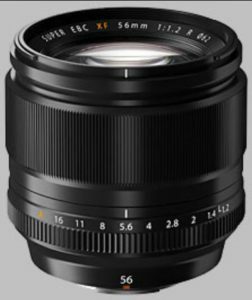 Most lenses are designed to be optimal in the F4-F5.6 range, in which they have the best MTF. The lower the f-number (ie f/1.4) is, or the aperature being wide open is where you get the least depth of field, but not great MTF. In a practical application, you need to trade off exposure time, depth of field, and available machine vision lighting. These three variables are always in tension. If you need fast exposure AND depth of field this means very small amounts of light gets to the sensor. If you need high contrast images in this situation, something has to change. Either get more light, accept less depth of field, or have some image blur. For a full listing of machine vision lenses, click here and use the filter to help in your selection.